Come by Island Mazda near Jackson Heights, NJ to experience the innovative 2018 Mazda CX-9 Sport. When it comes to driving, there’s no such thing as a “minor” detail. That’s why Mazda considered every single one when we crafted the CX-9’s indulgent Signature Trim. Supple Nappa leather, sculpted aluminum, and genuine Rosewood deliver a multi-sensory driving experience of sophistication and indulgence. Shaped to suggest a carved object, the genuine Rosewood of the center console is completed with a matte finish that is pleasing to the touch while revealing the wood’s depth of grain. Also used for fine musical instruments, Rosewood is a highly valued material all around the world. Inspired by Japan’s famous handmade cutlery, a sleek, sweeping piece of aluminum sculpts the dash, emphasizing width, sophistication, and true Japanese craftsmanship. Brushed to a satin-like smoothness, it’s as pleasing to the touch as it is to the eye. The grocery run. The cross-country excursion. The evening out. With its indulgent interior and a multitude of cargo configurations, the CX-9 is equipped to handle every kind of drive in style. But while comfort and sophistication are evident in each of its 7 seats, we’d like to recommend the one with the steering wheel. While sophistication is felt throughout the cabin, we gave special attention to the most important seat—the drivers. By positioning the shifter and console slightly higher than in the previous-generation CX-9, we help the driver experience a greater sense of connection and control. The CX-9’s intuitive Commander control sits within easy reach, next to the shifter knob, so you don’t have to stretch or lean to operate the MAZDA CONNECT infotainment system. It’s just one of many Mazda features designed to help you keep your focus on the road. Weather and road conditions can change in an instant. That’s why Mazda’s available predictive i-ACTIV AWD all-wheel-drive system monitors everything from outside temperature to throttle input and braking patterns. Using that information, it adjusts power delivery to help give you optimal traction before your wheels can slip. Even when the weather’s perfect, i-ACTIV AWD helps stabilize and improve the CX-9’s overall road grip by sensing changes in steering effort and traction. While typical engines generate most of their power in the upper RPM range, the CX-9 is carefully engineered to give you plenty of torque at lower RPMs, where you spend the majority of your drive time. You can tap into 310 ft-lb of torque at 2,000 RPM, substantially more than the 2017 Infiniti QX60 and Acura MDX. In every car Mazda make, the focus is on responsiveness and driving enjoyment. The 7-passenger SUV is no exception. 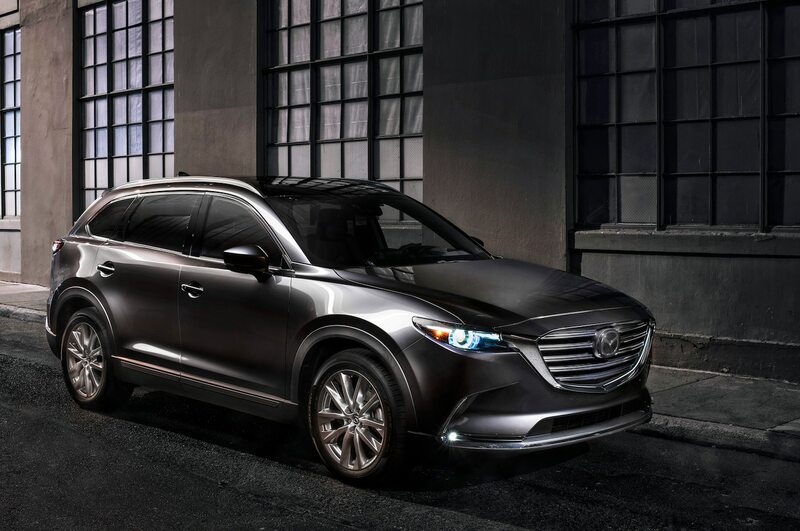 Engineered from the ground up with SKYACTIV TECHNOLOGY, the CX-9 stands out from the competition with outstanding driving dynamics. SKYACTIV-VEHICLE DYNAMICS with G-Vectoring Control is an innovative technology that helps you steer more precisely by optimizing load control. It’s a highly efficient vehicle motion control system that operates in the background during a spirited drive. It works smarter, not harder, to make you feel connected to the road. Stop by Island Mazda near Jackson Heights, NJ to test drive the all-new 2018 Mazda CX-9 Sport. You can also browse our online inventory of CX-9’s here. We look forward to doing business with you!